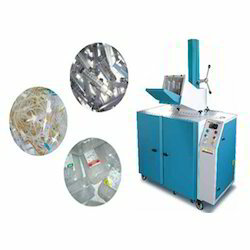 Prominent & Leading Manufacturer from Mumbai, we offer biomedical waste shredding machine. We are a reputed firm, involved in offering a premium quality Biomedical Waste Shredding Machine. Our offered machine is expertly designed with optimum quality material and modern machines as per the standards of market. Our provided machine is demanded among customers owing to its high performance. We are giving this machine in numerous specifications as per the requirements of customers.